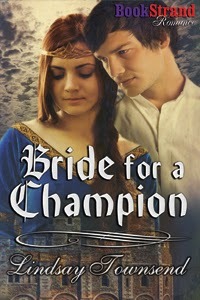 Lindsay's Book Chat: Historical Romance Collection Volume 2 - Boxed Set of 3 Books. OUT NOW! Historical Romance Collection Volume 2 - Boxed Set of 3 Books. OUT NOW! 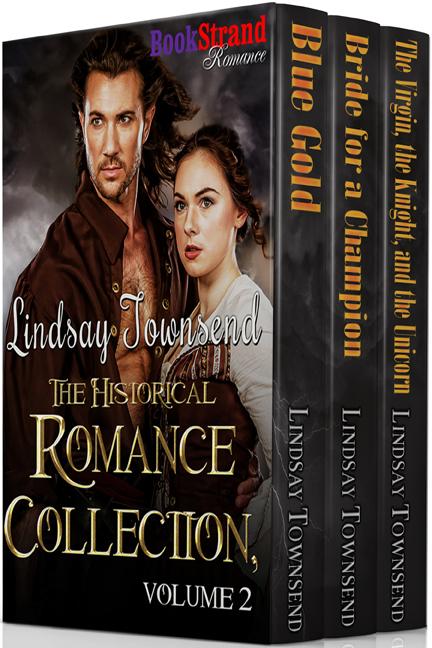 Click on each link for detailed blurbs, awards, ratings, excerpts, and reviews for each book in Lindsay Townsend: The Historical Romance Collection, Volume 2. Sekenenre and Kamose toasted each other again, and the nobles lifted their own tall goblets and drank, pledging allegiance to both. Torches blazed throughout the banqueting hall as men and women dropped off their wigs and entertainers practiced final flourishes in the odd dark corners. Ahhotpe kissed the cheek of the slave-girl who had brought her another perfume-cone and, with a sigh of pleasure and relief, shook off her own wig. “Allow me.” The Pyramid loomed at her elbow. He placed the cooling cone of perfumed grease on her hair. Ahhotpe shivered as the perfume-cone melted and ran in a delicious fine rain down her face. “Thank you, my lord.” She glanced from Zoser to Sekenenre. Her father and younger brother were very drunk. She was very drunk. She looked again at the Pyramid. He took her practiced smile as an invitation to join her on the couch. Kamose saw but did nothing. And how could she resist a man so much bigger and stronger than herself? Alive with the wine, Ahhotpe was in a mood to enjoy. She waited for him to complete the verse, as her father would have done, or to lay his broad head in her lap and have her say the rest of the poem, as Kamose did. The Pyramid merely grunted and tugged on her anklet bangle. “I’ll gaze only at you, my lord.” His face in the torches seemed sleeker, his dark eyes, lined with malachite, lustrous as the beads of his arm-bracelets. Ahhotpe saw new possibilities for Zoser. Being engaged to the man had its advantages. Two nobles, shouting and throwing bones at each other in an argument over a Senet game, gave Ahhotpe and the Pyramid their opportunity. “Such a coarse expression for love.” Ahhotpe, with a drunken little smile, held up her arms to Zoser. He scooped her from the couch like a barbarian, throwing her over one shoulder. Raising her jiggling head and squinting back into the hall, Ahhotpe noticed Kamose sprawled on purple cushions, ponderously explaining how he had saved Pharaoh’s life. Her father, fondling the Pyramid’s mother, smiling at everything Kamose said, talked earnestly to a drunken acrobat. None of them saw her undignified exit. 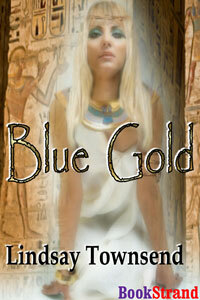 Ahhotpe lowered her head, feeling the broad flanks rub against her face, and ran her thumbs between the Pyramid’s legs. Later, lying in the warm dark circle of the Pyramid’s arms, Ahhotpe was talking to herself. This habit, born of a lonely childhood, she would never lose. Zoser snored. Ahhotpe smiled and scratched her nails across the man’s broad chest. Zoser twitched and rolled onto his back. “Sleep on, prince pig, and let me puzzle for myself.” Ahhotpe drew aside the Pyramid’s hairy forearm and wormed out of bed, taking the bedclothes with her. Zoser’s hand groped for the covers, and she quirked a golden eyebrow. Swiftly, she sped onto the balcony. In this last hour before dawn, the night was as cold as it would ever get. A mist of dew wet her bare feet. She heard a hippo grunt, a donkey braying somewhere, both sounds carried by the Nile. Ahhotpe leaned out and listened to the closer shufflings of the palace night-watch. All was well. One hand hugging the covers round her middle, Ahhotpe darted back to the bedchamber and retrieved the silver cup. She and the Pyramid had drunk from this vessel, pledging each other before love. Zoser had drunk from it afterwards, too. “His mistake.” Ahhotpe took up the water ewer and walked back to the balcony. She washed out the silver cup and replaced it on the table, filling it with new wine. Carefully, she applied new lip-paint and then took a good long draught from the cup. The imprint of her lower lip showed red against the metal. She sat on the bed and listened to the Pyramid’s breathing. She heard his breathing stop. I command you to marry the bearer of this letter. This is the man, the one I told you of, Alice, the one who saved me. My champion Simon Paton, come all the way from Constantinople. Marry him, bear him a son and heir and forget Henrietta. Do your duty by me. Lady Alice, crouching on her knees with a cleaning rag and a ribbon of her missing sister’s in one hand and her father’s last letter in the other, knew she did not look her best. But what did that matter? Her father was dead and the dead no longer care for appearances. Since the loss of Henrietta, she did not care, either. She glanced at the man’s travel-stained cloak and mud-splattered boots without looking up into his face. Her steward should not have brought the fellow into her presence, should have given her time to compose herself and greet him in the great hall, but she sensed Simon Paton had ordered otherwise. And my steward obeyed him. Already my people take orders from him, because he is a man. Alice dropped the yellow ribbon back into her sister’s clothes chest. She had been searching the chest again for any sign that would point to where Henrietta had been taken and by whom, but her father’s last letter contained a devastating order. Marry him. Alice wished she could cry, she longed for some relief. When word had come ten days ago of her remaining parent’s death from fever she had expected to feel something. Instead her heart felt numb. Her beloved younger sister was lost to her and her father—their father—had disowned Henrietta weeks before. Henry Martinswood had always demanded absolute obedience from his daughters and, by her elopement, Henrietta had failed him. Yet now, by letter, he orders me from the grave. Marry this man. Give him sons. Do your duty. Always obedience and no word of love. Our father never loved his girls. Still without looking at Simon Paton directly, Alice reluctantly clasped his fingers and allowed him to draw her to her feet. Beside the longed-for son that his London mistress had borne him, Alice guessed, wondering how this new knowledge did not pierce her soul. She had never met the young Henry, her father’s namesake, but when the child had died two summers back Henry Martinswood had become still more cold and grim toward his daughters. Hearing her name said so gently, she looked up for the first time and stared, forgetting the tingling pins and needles in her legs, forgetting everything. He was big, this Simon Paton, tall, well-made and starkly-handsome, black-haired and with a head-full of straggling, fierce curls. Tanned from many eastern suns, he was dressed in a mantle that was strange to her, very dark and at the same time glossy, like the plumage of a raven. His clean-shaven, pox-free face, as lean as a hermit’s, thrust at her like the prow of a great ship. He was smiling, or at least a shadow of a smile hovered round his full lips—though not his eyes. Simon Paton’s eyes—a dark blue, almost black, ringed with curling black lashes—gazed at her in a coolly intense, measuring way, as if judging her. He had a contained energy in him, as if he was ready to wrestle with angels, yet at the same time found the challenge distasteful. An unhappy man, she thought, yet also a striving one. The woman to win his heart will be most lucky. The idea—more a feeling than a thought—flashed through her and was gone, dashed aside by his next words. Alice clenched her teeth together, too proud to ask if he approved of her. Simon Paton was clearly enjoying her discomfiture. So soon! Alice dipped her head, afraid her face might show her alarm. “Will you call my maid Beatrix, to serve us?” she asked this tall stranger—my husband to be—thinking he could be useful at least. She withdrew, her head high and her heart hammering within her. If he is so keen to marry me, might he also help me to find and recover Henrietta? Or will he be only too keen to gorge himself on my father’s lands? Will this Simon Paton be thrilled with my dowry and delighted to keep me in my place? Such thoughts horrified her and she shivered. Would I were a man, in command of my own fate! “I am,” came her instant reply. “Though I am a dairy maid, I do not yet have four legs. If I might ride with you, we would go faster… Sir.” Staring at him full in the face, she added his title deliberately late. Scarcely believing her insolence, Gawain glanced at the other, crook-backed serfs. Had any been fit, he would have clubbed this wench to the ground and taken another, but, looking properly at her fellow peasants for the first time, Gawain realized they were all old. There were no more maids in this field to take in her place. For an instant, her beauty cooled his anger, as a sparkling frost may coat and still a pool. Cloud-gray now, her eyes were fringed with long, golden lashes and shone with intelligence and life. Her skin was flawless, rich cream and roses. Gawain found his hand rising seemingly by its own will, to touch her perfect cheek. Forget the unicorn. This wench beguiles me, but where is the treasure or renown in that? Quickly, he jerked his arm down and gripped his belt instead. “No,” growled Gawain. “I need nothing from you but your obedience.” Tired of talk, he snatched her off her bare feet, cast her over his shoulder, strode back to his mount, and slung the writhing, gasping girl across his horse’s neck. As she opened her mouth yet again to protest, he leapt into the saddle, spurred hard and rode off at a canter, laughing when her head bounced against the bay’s muscled flank and she shut her eyes tight. 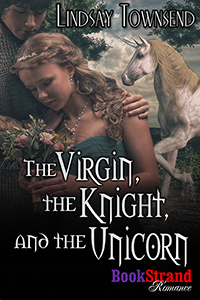 Keeping her secure with a heavy fist in the middle of her back, he galloped for the woods.